Contractors and builders of energy efficient apartments and homes are able to reward their efforts by obtaining 45L Energy Efficient Home Credits. 45L is a lucrative tax incentive for the construction or renovation of single-family homes and low-rise residential buildings that have reduced its energy consumption by 50%. 45L allows qualifying builders and contractors to collect up to $2000 for each unit of property that meets the certified energy efficient standards. Eligible contractors and builders must own and have a basis in the qualified energy efficient home during its construction. 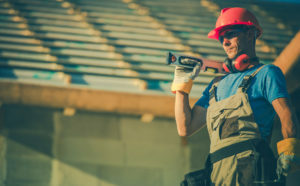 In order to receive the benefits, builders and contractors must apply and document their installments before the construction crew breaks ground. Start the process of obtaining your 45L tax credits.